But the video is not on the cruise line’s web site, confirming, once again, that searches for authentic travel experiences are not found on search engines or on web sites, but on social media networks. It’s here where people can question, connect and participate with real people in real time. 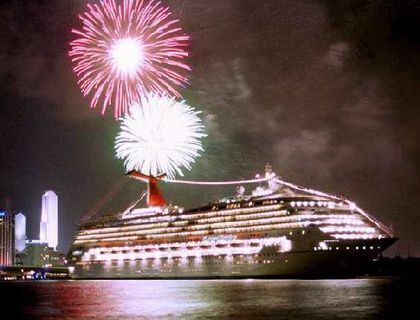 Since a vast number of American have never taken a cruise, (probably 90%), Carnival’s chief marketing officer, Jim Berra, knows that the first time cruiser is a huge market. “How better to reassure those contemplating their first cruise than to let them experience on Facebook, the experience of other cruisers?” he asks. The video is on the Carnival Facebook page where their 455, 266 people who “Like” the page get a chance to see a video with real people, talking about the real things they’d like to do in life, from fly a plane to feed Llamas and deep sea dive or Parasail. The implication of course is, why wait. Do it now! Marketing messages? Do it on Carnival. And, make your own list, and enter the “Didja Ever” contest and possibly win a free cruise. It may be that these three lines are late to the social media table. Travel Weekly reports that Berra has seen traffic driven from their Facebook account to their booking web page triple in the last 12 months, allowing Facebook to pass Yahoo as the second largest source of traffic to carnival.com. For now, Google is still the number 1 traffic driver, but Facebook allows potential cruise-buyers to create initial, human connections, which Google and a web site can’t do. The “Didja Ever” videos will appear on and off line, including Hulu, YouTube and Yahoo.